The holidays are an exciting time of the year as you gather with friends and loved ones. While you shop for the perfect gifts and prepare tasty meals, the last thing you expect is a toothache to interrupt your plans. Although you never thought it would happen to you, it is more common than you might think. In fact, it is estimated 55% of adults report to have had at least one toothache during the past 6 months. Often, it results from an untreated cavity. No matter the underlying problem, you need an emergency dentist in Harrisburg. Unfortunately, your dental office may be closed because of the holidays. Do not worry. There are several things you can do at home to help manage your discomfort until your appointment. All-on-4 in Harrisburg is an excellent option for people who are missing all of the teeth along one or both arches. 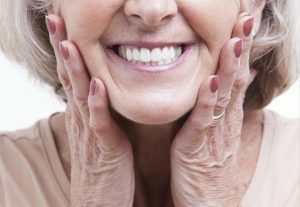 Rather than use one dental implant for each missing tooth, All-on-4—as the name suggests—use four implants along your jaw to securely anchor a denture. The implant process is less invasive, so the healing time is typically shorter. Here’s what you can expect your recovery from All-on-4 surgery to be like. (717) 652-6644 253 N Hershey Rd.